Finally I can show you all of my bears for Be My Valentine's bear show. They are still available, so please email me if you would like to adopt any of them. 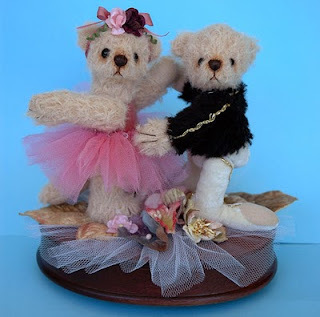 ACCESSORIES: Playable and rotated music box plays “Moon River”, white tulle, velvet flower pieces and leaves under bears, silk ribbon with velvet flower head pieces for girl, 2 layer of pink tulle for girl’s tutu. 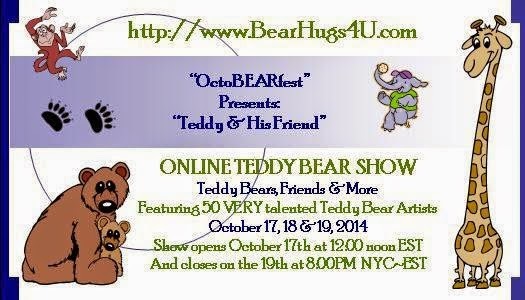 I make artist teddy bears, and animal stuff toys. 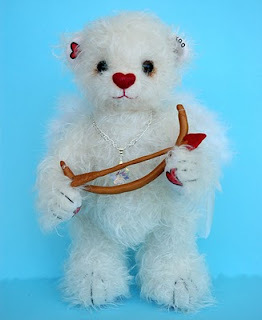 I started to make bears as hobby on 2003, and started to design and make my own bears on 2004. Soon I started my website, take custom design and as well as sell my creations. 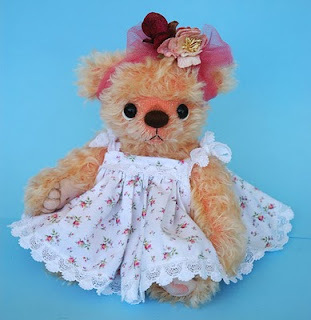 All of my bears and animal stuff toys are designed and make by myself. Here is my blog to share my latest creation.